It’s sad to say that many of the beautiful creatures you know may not be in the near future. What the hard truth we don’t like to admit is human activities are one of the causes that lead endangerment of many species. 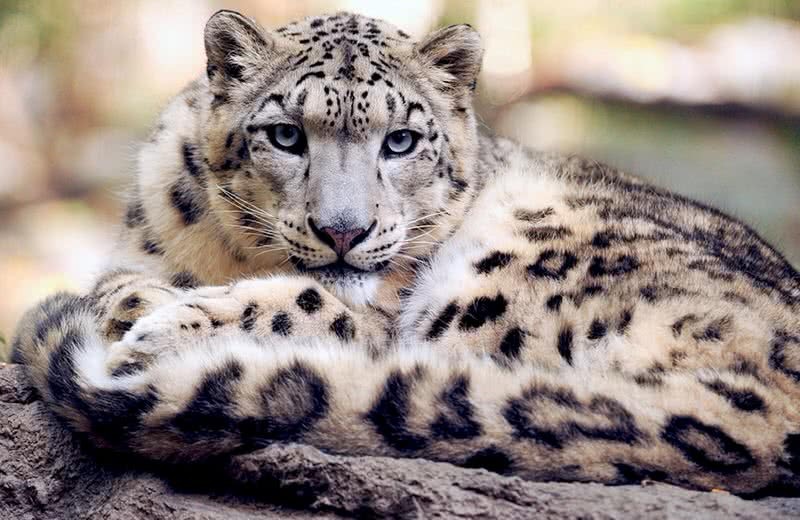 Here the list of 10 most beautiful endangered animals. Once, Antarctic region alone had a population of hundred thousands of blue whales. Whaling has caused a massive decline in their population globally. In 1986, the commercial whaling was banned. But, blue whales still facing the risk of extinction. Blue whales can be found in all oceans except Arctic. Most time they found alone or in small groups. Don’t be confused by their name, blue whales are not true blue, but a blue-grey body with white underparts.Each day, a blue whale consumes up to 4 tons of krills. Black-footed ferret is an endangered species of North America. It is the only species of ferret found in North America. Over hunting is the leading cause of the decline in the population of this beautiful species. Captive breeding programs are what saved this species from the verge of extinction. The long slender body is the most attractive feature of black-footed ferrets. A matured ferret measure up to 24 inches. Like the name suggests, legs and foot of black-footed ferrets are black. These nocturnal creatures spend most of their time in burrows. Green sea turtle is a large turtle species that named for its greenish skin. They live in tropical and subtropical ocean waters around the world. The population of green sea turtle is decreasing worldwide. Hunting, harvesting of eggs and loss of nesting sites are the main threats to this amazing creature. Green sea turtles grow 3-4 feet in length and around 190 kg of weight. Their large shell covered most parts of their body. This shell has a mixed color of brown, black and grey. The body fat underneath their skin is greenish. That’s why they called green sea turtles. Galapagos penguin has the smallest population than any other species of penguin in the world. They found only in Galapagos islands. Also, it is the only penguin species found in North of the equator. But, today this beautiful creature is at the risk of extinction. Climate change and hunting by introduced species are the main threats to Galapagos penguins. This beautiful penguin has a length of 50 cm. They have black upperparts and white underparts. Their bill is back with pink patches. These penguins spend most of their daytime on cool waters of Galapagos. Iberian lynx is the most endangered feline species in the world. Only less than 400 of this amazing species left in the world. They inhabit in woodlands of Southern parts of Spain. The extreme population depletion of Iberian lynx is caused by illegal hunting and habitat loss. With the spotted coat and muscular body, Iberian lynx is arguably one of most beautiful animals in the world. Their coat has a tawny color. This medium-sized cat species measure 70-100 cm in length and around 12 kg in weight. Lemur is a unique species of mammal found only on the island of Madagascar. 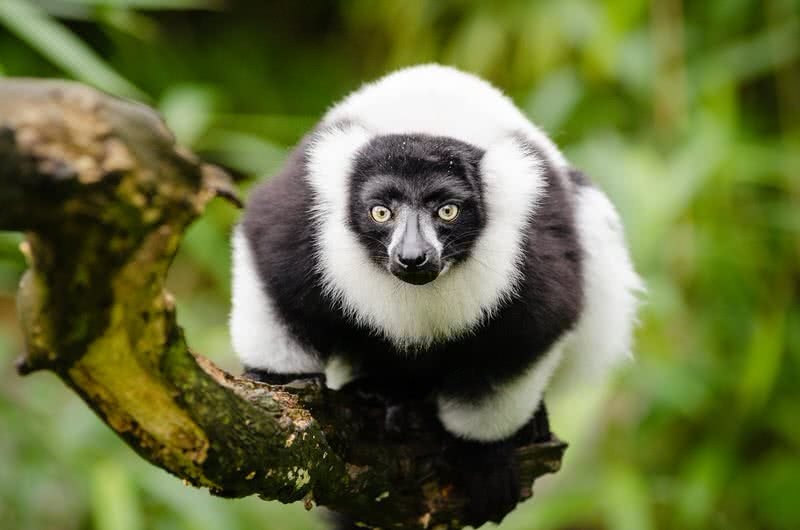 Nearly 101 different species of lemurs live there. But studies have found that 90% of lemurs are in the risk of extinction. This condition was caused by the destruction of habitat and overhunting. Polar bear is one of the most magnificent creatures found in Arctic region. Standing 8 – 9 feet in height and weighing up to 800 kg, polar bears have a thick layer of body fat and protective coat to survive within extreme conditions of the polar region. These giant bears spend the most time in the ice sheets of Arctic region. That’s why they are classified as a marine mammal. Currently, they were facing a significant threat – the climate change, which caused loss of ice sheets in Arctic region. The result in the life of polar bears at risk. 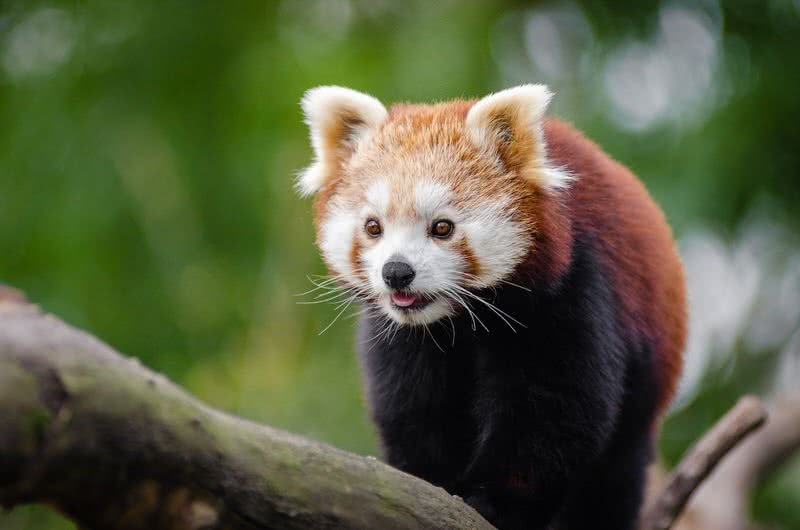 The cute red pandas only weigh 4 – 6.2 kg. Their bushy tail and long coat provide warmth in the cold climate of Himalayas. These nocturnal creatures spend daytime on sleeping on tree branches and become only active at night. Tiger is the largest of all living cat species. Out of 9 subspecies of tigers, three became extinct. All remaining six subspecies of tigers are endangered. Among these subspecies, the largest one is the Siberian tiger of Amur tiger. They found mainly in mountainous regions of Eastern Russia. Only less than 550 Siberian tigers are left in the wild. In 1940s Siberian tigers nearly became extinct with a population of 40. 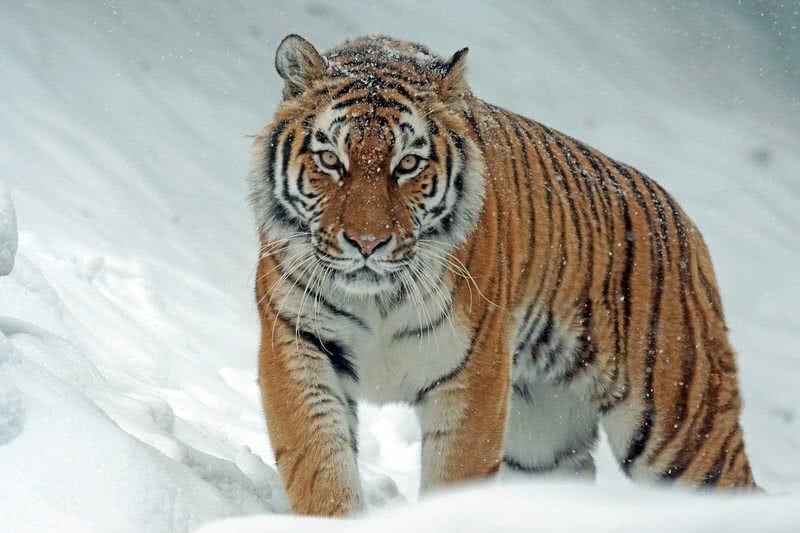 Habitat loss and poaching are the main threats to Siberian tigers. Fortunately, the conservation programs have managed to risen the population of Siberian tigers over 500. Snow leopard is a stunningly beautiful cat found in high altitude mountains of Central Asia, particularly in the Himalayas. This magnificent animal is known for both its beauty and ability to thrive in the harsh Himalayan climate. In fact, snow leopards are not bothered by the harsh conditions of Himalayas but by the climate change, which results in habitat loss of this spectacular species.Today, only less than 7000 snow leopards left in the world. To thrive in the harsh Himalayan climate, snow leopards have a thick gray coat, which helps them to stay warm even in the chilling atmosphere. Their legs are powerful enough to cover a distance of 50 ft in a single leap. It helps them to easy movement between the rocky mountainous regions.